EC-S Series is an induced draft counter-flow, film filled, FRP multi-cell rectangular cooling tower designed for the equipment cooling, and industrial process cooling and air conditioning applications. The EC-S Series Cooling Towers are specifically designed to meet maximum performance and reliability, and minimum maintenance. 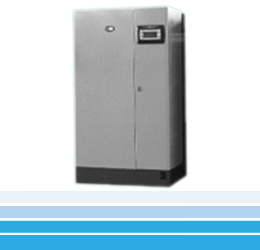 The thermal performance of EC-S Series has been certified by CTI in accordance with CTI Standards STD-201. EC-S Series Cooling Towers are designed and provided with high quality v-belt & pulley drive system or right-angle gear reducer drive system for trouble free operation. The cooling tower shall be induced-draft vertical discharge type, counterflow, rectangular, film filled, FRP Cooling Tower. It shall be designed with high efficiency drift eliminators to meet current environmental standards and guidelines for microbial control. The rated capacity shall be certified by the Cooling Tower Institute (CTI). The cooling tower manufacturer shall guarantee that the tower supplied will meet the specified performance conditions when the tower is installed according to plans. The cooling tower main frame structure shall be hot dip galvanised steel (HDG). The casing, louver & fan cylinder shall be made of Fiberglass Reinforced Polyester (FRP). 5.1 Fan(s) shall be propeller-type, incorporating heavy-duty blades of cast aluminium alloy. Blades shall be individually adjustable. 5.3 Motor(s) shall be TEFC, weatherproof squirrel caged induction type suitable for 3ph /50Hz/415V power supply and installed outside air stream. 6.1 Fill shall be high efficiency film-type, rigid, corrugated PVC sheets with integral louver and drift eliminator that are conducive to cooling water and UV protected and self extinguishing properties. Fill shall be cross-corrugated and the surface of the sheet shall have a suitable micro-structure to improve turbulence and water distribution. Fill sheets shall be bonded at all contact points. Fill shall be of alternate tip configuration to improve water drainage and minimize air pressure drop. 6.3Drift Eliminators shall be assembled in easily removable modules. Drift eliminator shall be 3 pass sinusoidal-shaped blade type. Guarantee drift loss must not exceed 0.005% of the designed water flow rate. Each call of the tower shall be equipped with hot water distribution system. Header and lateral pipes shall be PVC. Nozzles shall be non-clogging, capable of passing objects up to 25mm in diameter. The spray must be designed such that the nozzle outlet is the lowest point in the system. The water inlet connection shall be located outside the tower casing. No rotating mechanical sprinkler system is allowed. The cold water basin shall be of FRP and supported on HDG steel framework. The basin shall be designed with sufficient water capacity to avoid air entrainment in the outlet during operating conditions. The basin shall be equipped with suction strainer, make-up ball valve, overflow and drain. For multiple tower arrangement, equalising pipes between basins shall be provided to maintain the same level of water in each basin. IService and maintenance platform must be constructed at the fan deck level to facilitate easy inspection & maintenance of the fan machinery. Inspection door and caged ladder shall also be provided. Louver panel shall be removable for access to the sump, make-up, overflow and suction strainer. HDG steel fan guard shall be provided over each fan cylinder.